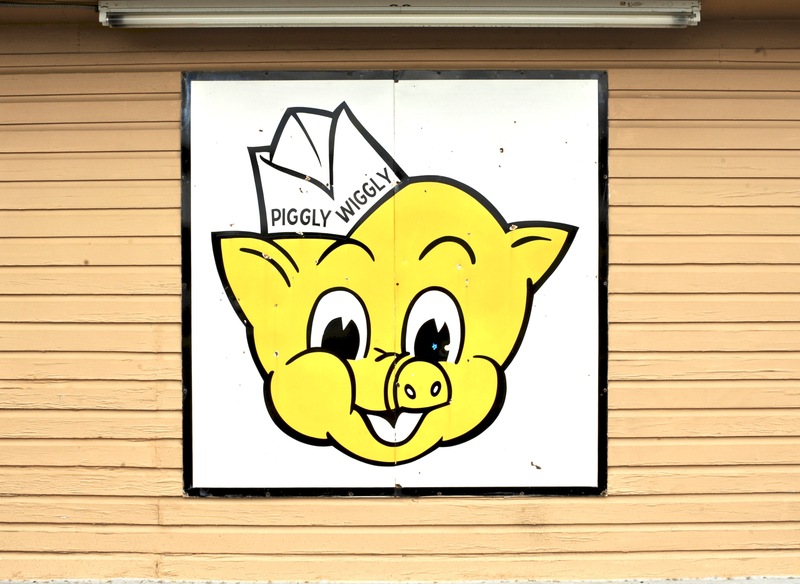 I’m not sure if Mr. Pig’s unusual yellow color was intentional or a result of the sun taking the red out of the paint that would have made him his usual pink. Whatever it was, it might be impossible to know as the esteemed Mr. Sneed states in his description that this location was already abandoned when he took this photograph in 2013. Personally, I’d be surprised it it hasn’t been stolen or at least vandalized by now. Posted in Retro/Vintage, signTagged abandoned, Americana, closed, defunct, grocer, grocery, market, nostalgia, photography, store, supermarketBookmark the permalink.